S. S. Wilson is the co-writer of many movies, like Tremors, Short Circuit, Short Circuit 2, The Wild Wild West and more. He also directed Tremors 2 and Tremors 4. 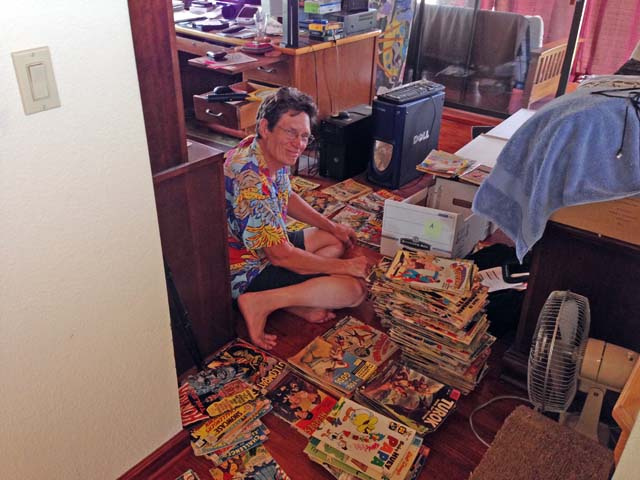 He was always an avid sci-fi and fantasy fan and as a kid bought comics simply to enjoy them, not as a collector. Most of them were purchased in Hawaii (Maui or Oahu) in the early 1960s. His family moved often and his "collection," tossed into cardboard boxes, traveled with them -- from Hawaii to Maine, Pennsylvania, West Virginia, back to Maine, Wyoming, Washington State, South Dakota, and finally to Arizona. The comics are being sold by Classic Collectibles under the eBay ID "mark512e"